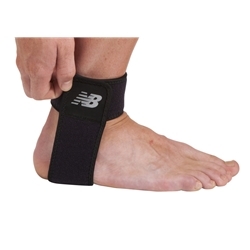 Applies support and compression to the Achilles tendon. May help to reduce inflammation and minimize some of the chronic ailments caused by tendonitis. The adjustable heel strap design provides the flexibility to increase or decrease pressure on the heel, helping to alleviate strain to the Achilles tendon.